Kapil Sharma and Sunil Grover controversy is getting worst day by day and is affecting Kapil’s show. The Kapil Sharma Show which one the most popular weekend show on television is facing serious challenges after Kapil Sharma and Sunil Grover had a fight on the flight. 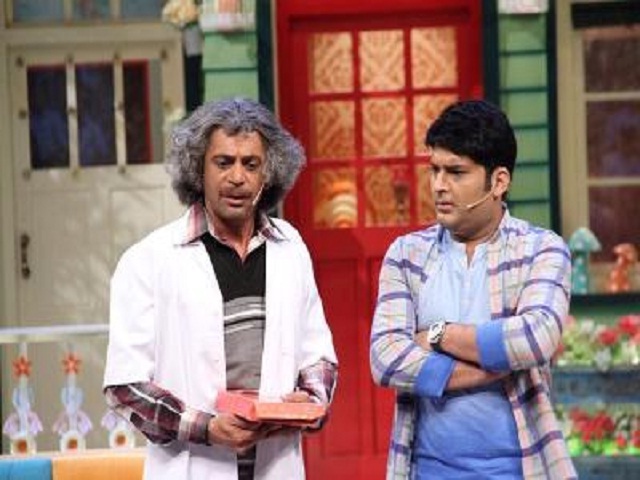 After the flight-fight, Sunil Grover has quit the show as of now. To support Sunil’s protest, Ali Asgar and Chandan Prabhakar too have boycotted the show. Kapil Sharma Show latest news is that after these actors, celebs too have boycotted the show. After the fight, the show was shot with the ‘Naam Shabana’ team. On the third day, Raju Srivastav, Ahsaan Qureshi, and Sunil Pal called on the show on an emergency basis. But on the third day, the shoot got canceled after Sunil Grover, Chandan Prabhakar and Ali Asgar boycotted the show for the third consecutive day as well. Now with the uncertain fate of the show, Kapil Sharma has left nothing. The production is trying to convince the three actors, but they are adamant on not returning to the show after Kapil’s behavior with them on the flight. On the other hand, the production is also searching new replacements for the show. Amidst all these controversies, Ali Asgar has reportedly been said to have left the show permanently and has joined a new serial. According to rumors, not only these actors but celebs too have boycotted The Kapil Sharam Show after which the show got canceled. It is still unclear about when the shooting will resume and who will be in the next episode of Kapil’s show.